Before Apple released its iOS 5.1 update to the public earlier this month, clicking on a Yelp link after performing a search with Siri did absolutely nothing. Now, however, it’ll take you straight to Yelp’s iOS app — or the App Store if you don’t already have it installed. The new feature makes it quicker and easier to read Yelp reviews, makes reservations, find opening hours, current offers, and more. Under iOS 5.0.1, users had to find the restaurant with Siri first, and then open Yelp and find the restaurant again manually to get this information. Well, last week, Apple launched iOS 5.1 and with it, an updated Siri and Yelp integration on iPhone. 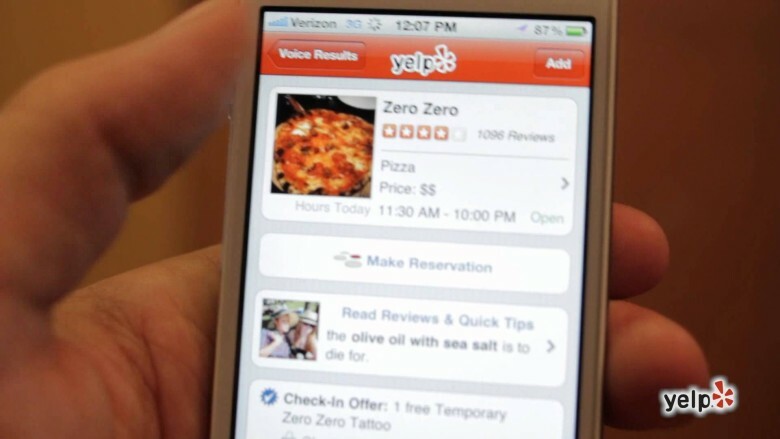 Now when searching for a recommendation on local businesses, Siri will return Yelp-reviewed businesses and when you tap the star rating (BOOM!) you are immediately taken to the Yelp business profile page. Oh, the places you’ll go… now that you’ll have faster access to Yelp review highlights, quick tips, hours of operation, address, phone number, photos — the list goes on. Check out the video above to see Yelp links in action.